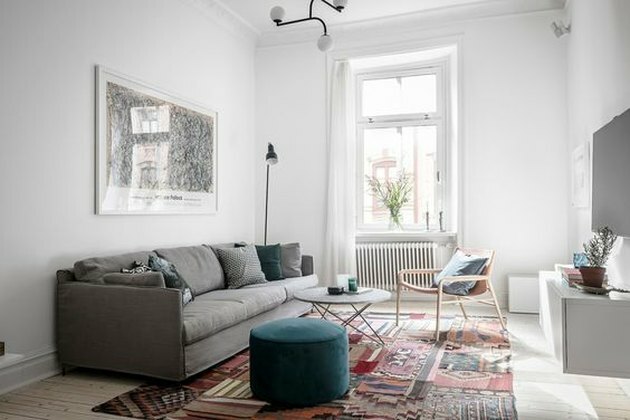 Nothing says relaxation quite like scrolling through Pinterest and pinning gorgeous images of minimalist interiors, #amirite? However, the pared-down aesthetic, while wildly popular and fun to look at, isn't quite as simple as it looks. And if you're a reformed pack rat like some of us, you know the struggle is all too real. Which is why we were inspired to come up with a few easy ways to integrate the streamlined look into our own homes. 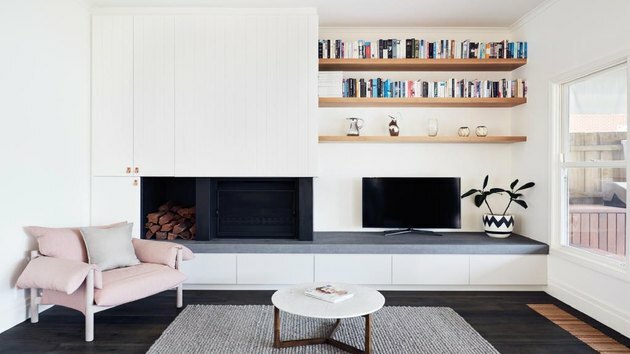 Read ahead for 15 ideas that will help you turn your humble abode into a chic den of minimalism. 1. Paint your walls white to amplify relaxation. Kicking back with a good book may be your favorite way to spend an afternoon, but busy walls distract, not relax. 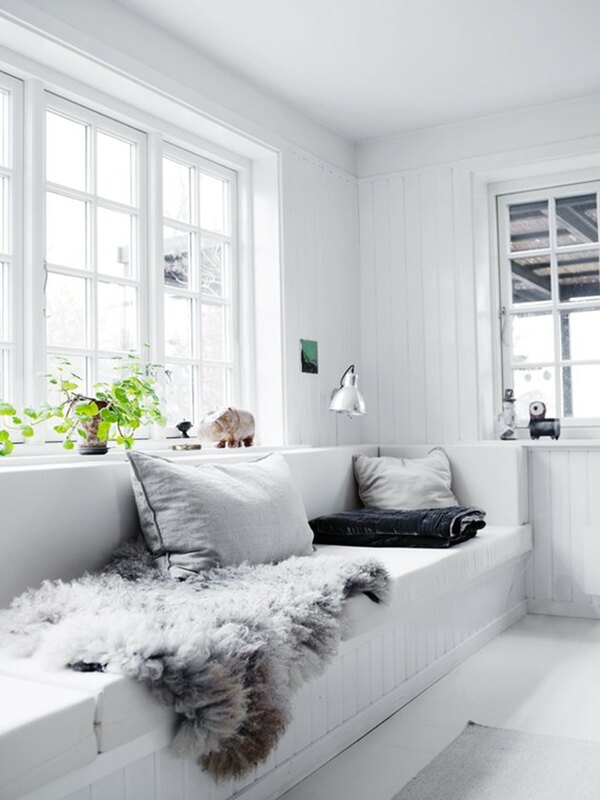 Surround a comfortable lounging area with crisp white walls to create a tranquil escape from everyday life. 2. Liven up the conversation with less stuff. 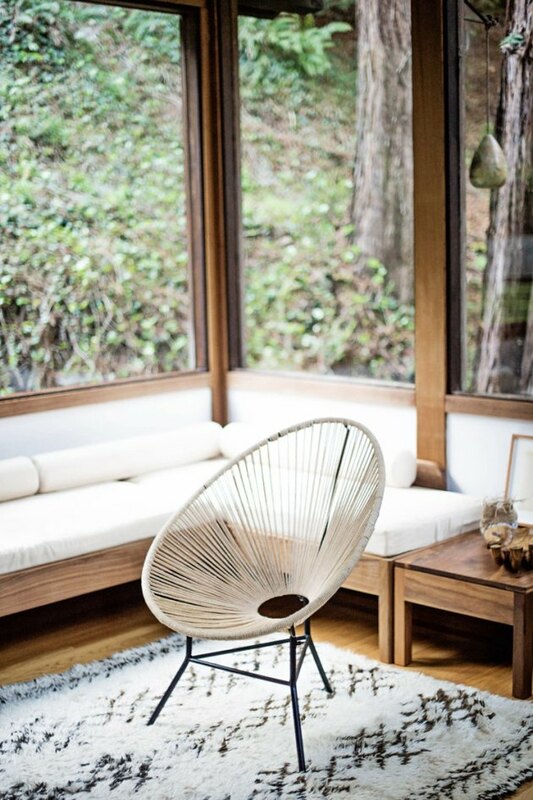 If you're dreaming of the perfect spot for a spirited conversation, consider keeping your decor simple and neutral. This living area creates an ideal spot for discussion and debate — without any decorating diversions. 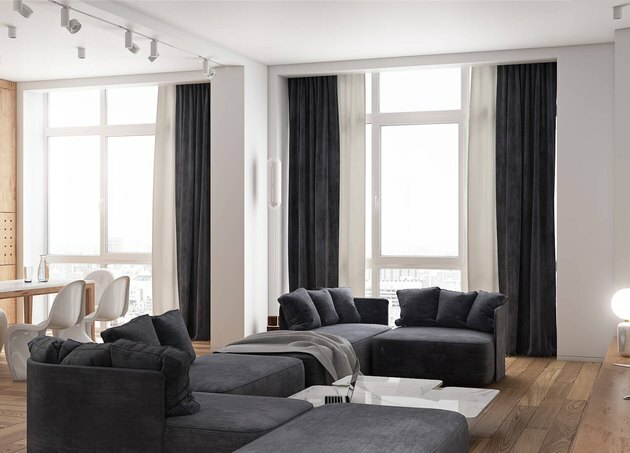 While jewel-tone velvet and sleek metallic finishes might be popular trends right now, that doesn't mean you have to jump on the band wagon in order to make your home modern. 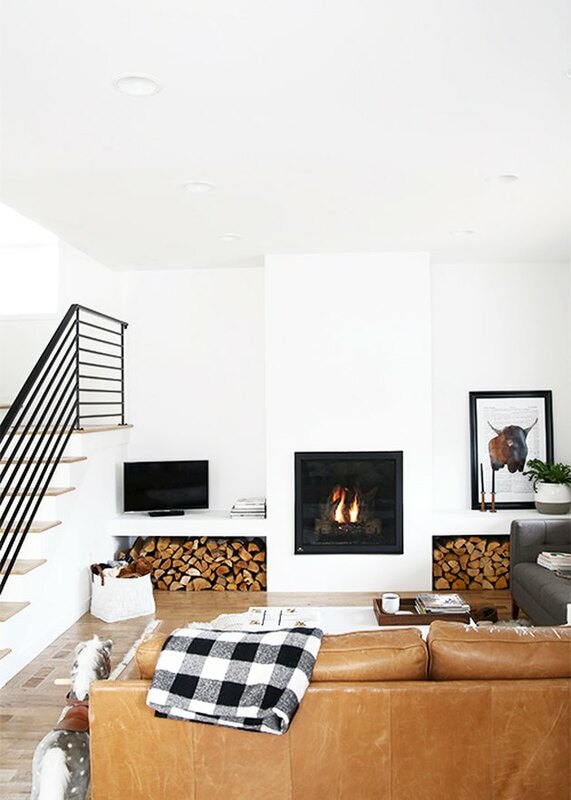 This cozy living room from The Faux Martha combines plain walls, textured leather, and stacked firewood to create a comfortable, streamlined abode that feels very au courant. 4. Make texture the star of the show. 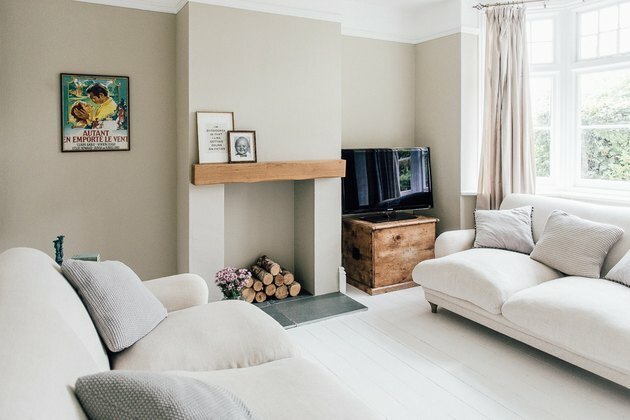 Not a fan of plain old white? 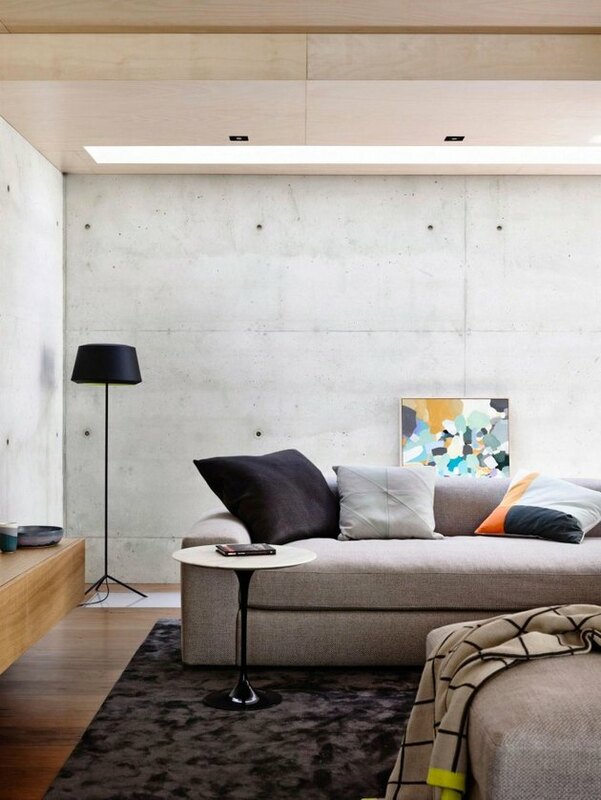 Treat your walls like a canvas and cover them in texture to make a simple space feel bold. 5. Give dramatic furniture its due. The best way to highlight a piece of killer furniture is by making it the centerpiece of an otherwise-simple room. This elegant, curved sofa refuses to just blend into the background, and instead makes a statement you simply can't ignore. 6. Showcase your unique style. 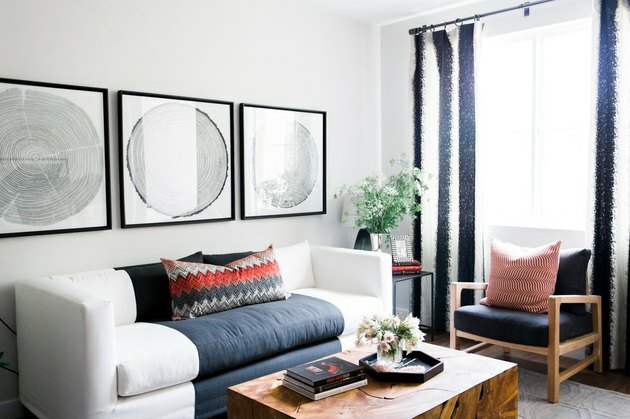 Love the idea of minimalism but don't want to sacrifice your style? 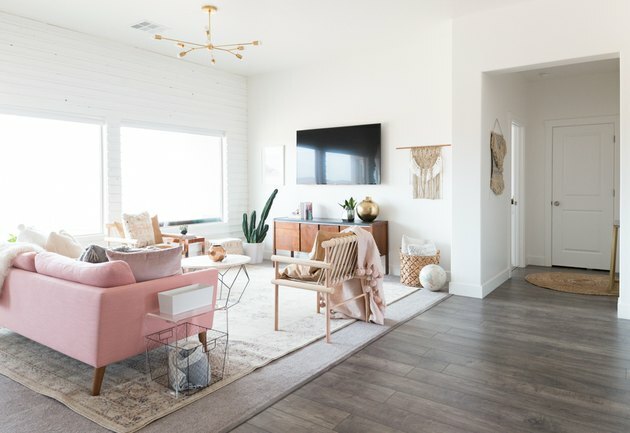 Pick one aspect you love, like live wood edges or copper piping, and integrate it into your living room design to create the essence of your favorite aesthetic. 7. Accent minimal walls with bright greenery. Give your plants room to grow with an open, minimalist layout. And there's no better way to make your verdant babies look stunning than to pair them with white walls. 8. Find your minimalist middle ground. Still clinging to your gold decahedron planters and your blanket basket? 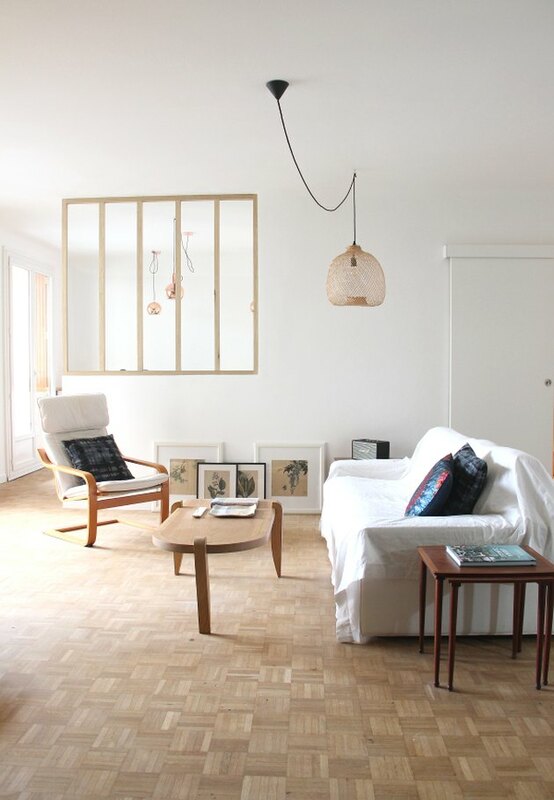 You don't have to throw everything away in order to incorporate minimalism. 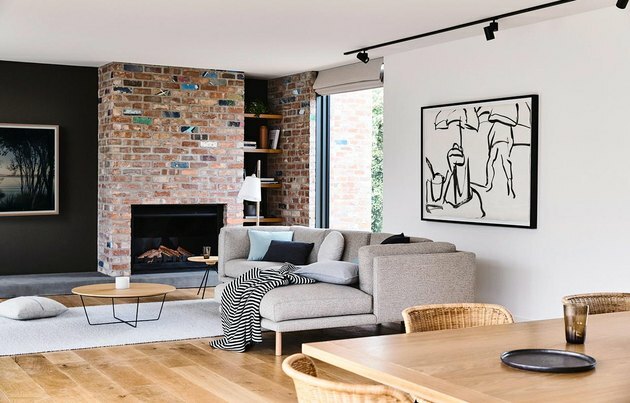 Pare down your artwork, ditch some of the coffee table clutter, and you'll soon feel the mind-clearing effects of minimalist style. 9. Make a big difference with subtle pops of color. 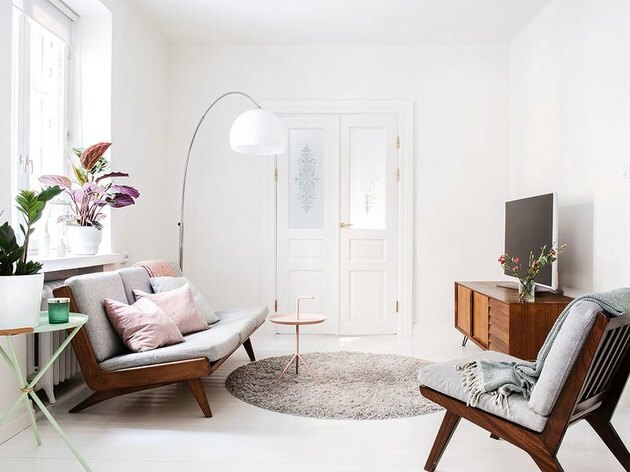 Cool grays and soft blush hues add drama to an otherwise-white room, making this bright space feel dreamy yet down to earth. 10. Amp up the drama with dark features. Pops of dark color can feel downright theatrical. Rich, dark gray sofas and matching drapery panels bring drama and set the mood in this minimal room. 11. Highlight your favorite art pieces. Artwork can get lost in a large gallery wall. 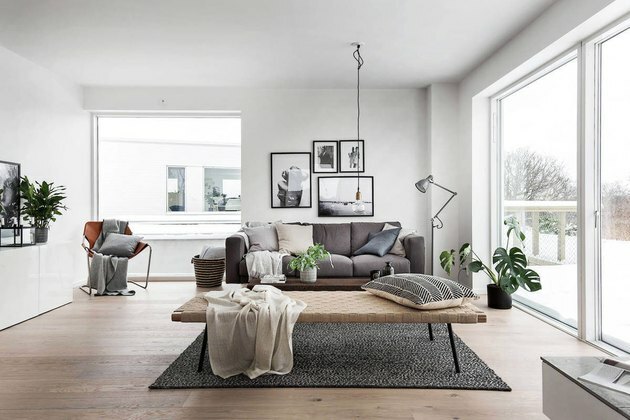 A limited selection paired with a neutral wall and minimal furniture allows you to show off your favorites without having to worry about them disappearing in the clutter. Not all of us are blessed with the cash to revamp every outdated aspect of our home, but don't despair: Paired with clean neutrals and sparse decor, your old-school parquet flooring (or other outdated feature) can feel oh-so-sophisticated. 13. Emphasize your to-die-for view. Don't waste a jaw-dropping view with too much clutter. If you're lucky enough to be located near a lush forest — or in a penthouse overlooking skyscrapers — match the stunning exterior with a minimal interior to highlight your home's greatest asset. 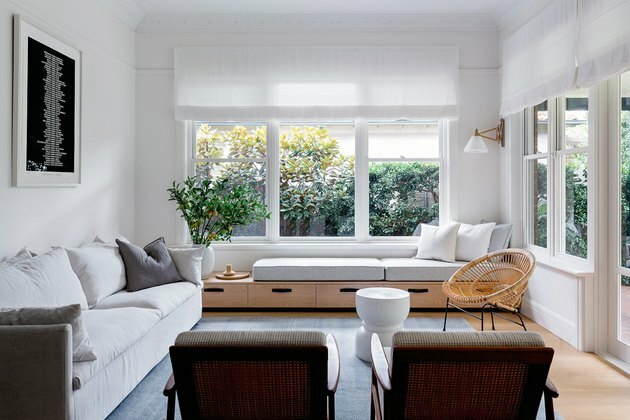 Unique patterns earn respect in minimalist rooms. With nothing else to distract the eye, play up interesting lines, or geometric details to anchor a simple space. Don't forget to include light fixtures in your new minimal design scheme. Without the warm light of day, any room can begin to feel cold and uninviting as the sun sets. 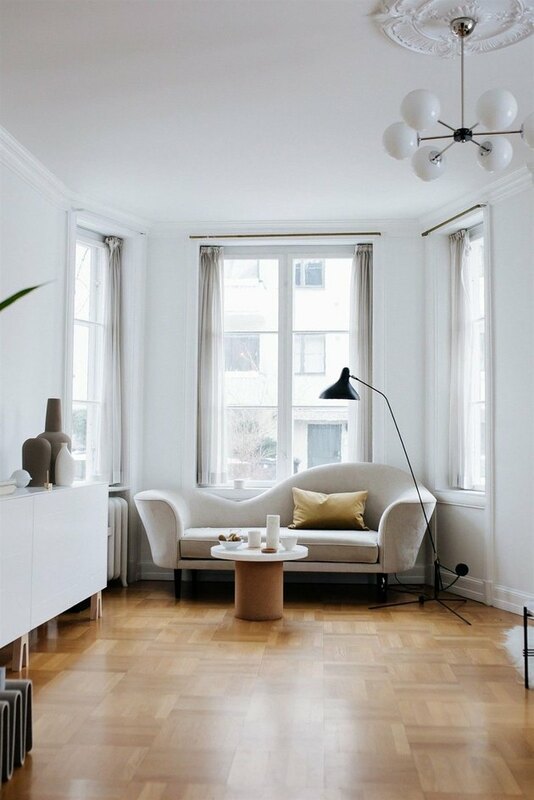 Keep your home cheerful and bright with adequate ambient lighting, like a well-placed floor lamp or a modern pendant.